"The war that America is waging against Syria, against peoples of the region and resistance and liberation movements, will not realize its goals," the statement said. 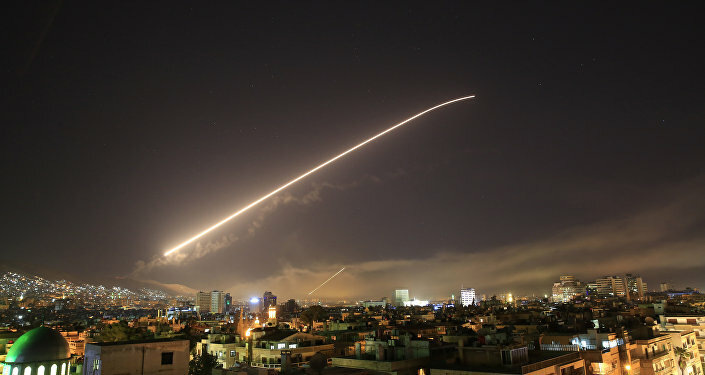 Most of the missiles were intercepted by the Syrian air defense forces, according to the country's General Staff. Earlier, the Syrian Arab News Agency (SANA) cited Hezbollah Secretary General Sayyed Hassan Nasrallah as saying that Syria will never be intimidated by Trump's threats to stage a missile strike on this Arab country, which he warned would have far-reaching consequences. "With every major victory against terrorism in Syria, an alleged use of chemical weapons is staged by the sponsors of terrorism, like what happened in Douma recently," Nasrallah underscored. Writing on his Twitter page earlier this week, Trump said that Russia should brace itself for "nice and smart" US missiles which will be launched on Syria. Shortly after, he backpedaled the statement by tweeting that he does not know when the attack would take place. During a press briefing on Friday, Russian Defense Ministry spokesman Igor Konashenkov has described the alleged chemical weapons attack in Douma as a planned provocation which was organized by some purported NGO groups, such as the White Helmets, which aimed to prompt the US to stage a missile attack on Syria. 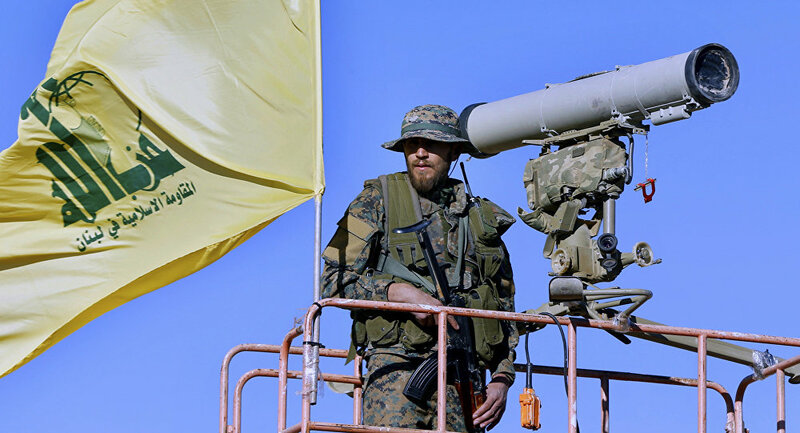 Hezbollah is a Lebanon-based Shia movement founded in the 1980s which has repeatedly been engaged in military conflicts with Israel. The group supports incumbent Syrian President Bashar Assad, who is a representative of the Alawites, a Syrian Shia minority.